Saint Unbreakable CE Armoured Jeans. 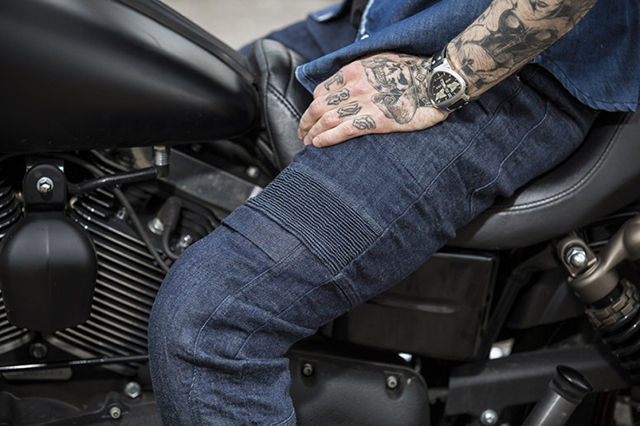 Saint have been at the forefront of creating single layer motorcycle pants for the past few years. We’ve been big fans of their drill pants but they’ve now stepped it up a notch (like my belt size after Xmas) with their Unbreakable CE Armoured Jeans. Saint claim that these jeans are ‘the worlds strongest single layer jeans’. They are also the only single layer road jean in the world to meet the very strict European motorcycle test standards. This is achieved through weaving cotton with the world’s strongest fibre – UHMWPE. 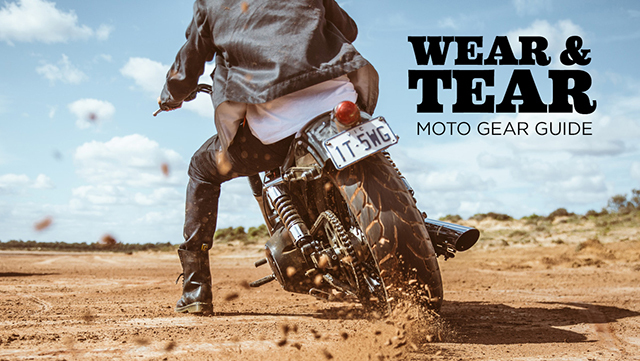 The jeans are so tough that if you do come off your bike at speed, the jeans can handle a 6 second or 75 metre slide before they start to break down. The other impressive feature is they now have compartments for CE rated removeable knee and hip armour – which come included with the jeans. The armour compartments are inside the jean, which means you have to take off your jeans to remove them. This unbreakable denim obviously comes at a cost – starting at AU$400 ($350US) – but we think you’re worth it. Check out the full range here. 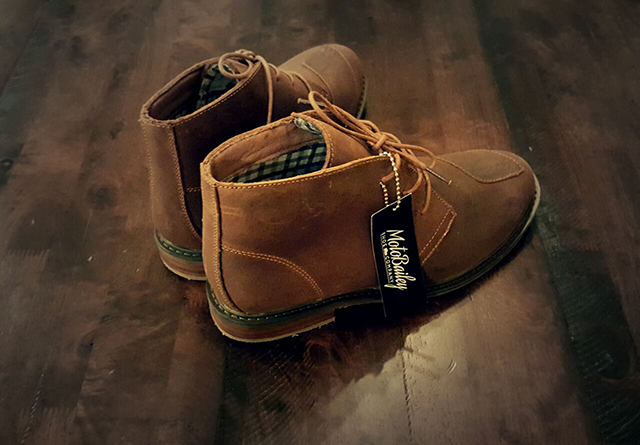 Apart from the Kevlar lining, each shoe has a reinforced shift pad, built-in PU ankle protection and a high grip sole. I personally have ruined a few pairs of shoes using the gear shifter so it makes sense to have some extra reinforcement here. 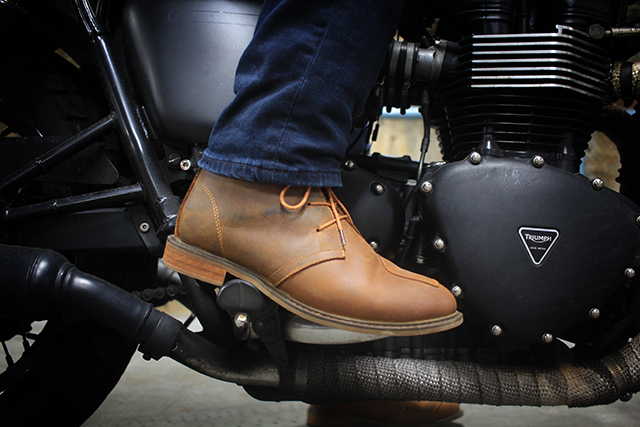 I’ve been riding with these boots on and off for a few months and have found them super comfortable and hard wearing. My only gripe with them is the model I have been using which is called the ‘LaRyder’ only has three holes for laces and it feels like they should have another one higher up the ankle for more support and a tighter fit. But it looks like their other style, the ‘ElBulli’ (dark brown) has the extra support, which would be my pick. See the full range here. 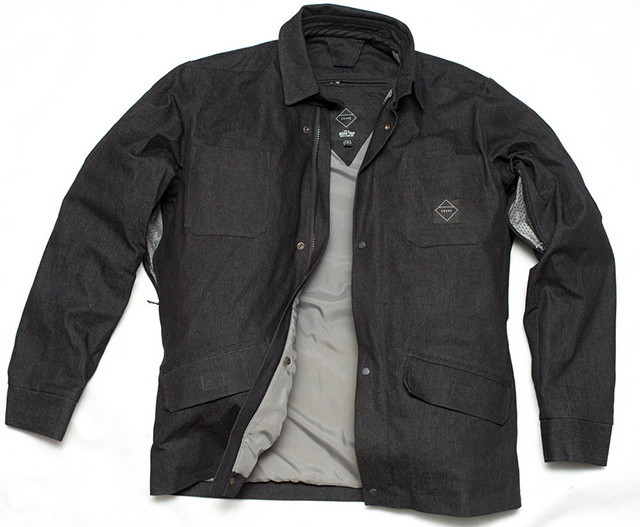 Crave are the European company that lay claim to creating the original Kevlar lined shirt. Since then, many brands of have copied this idea. 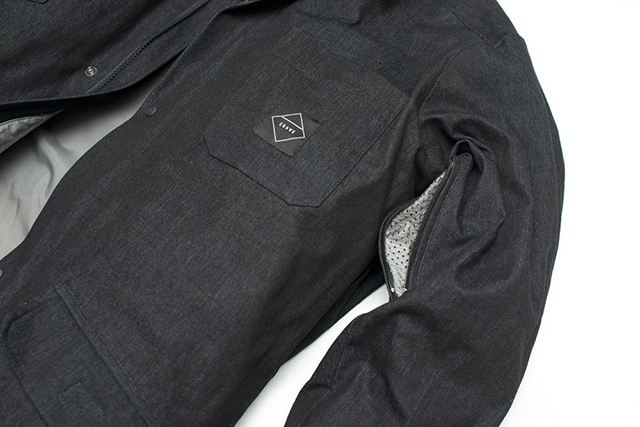 Now Crave have increased their offering with a Kevlar™ lined black denim shirt. These shirts are made from a high quality denim that is lighter than a denim jacket. 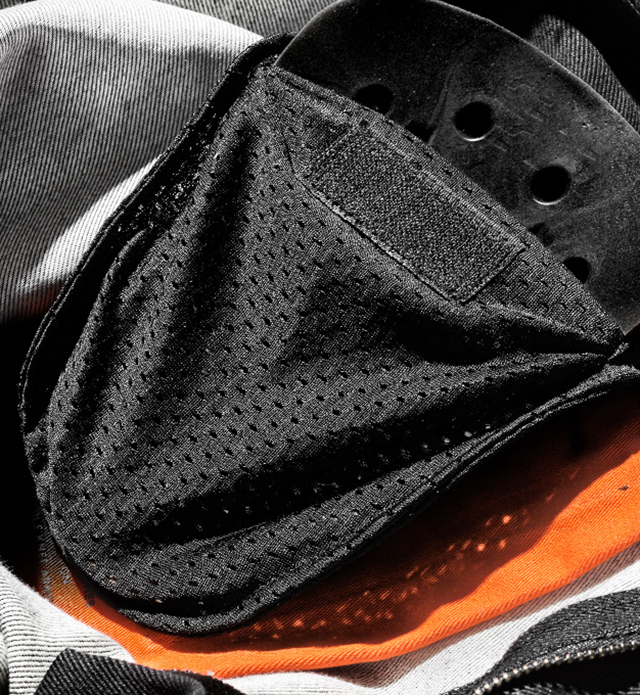 Apart from the full internal Kevlar lining, the shirt also has compartments for shoulder, elbow and back CE protectors. We were lucky enough to test this jacket in the Himalayas – on the warmer days – and was surprised by how well it performed under the hot Indian sun. It has long zippers under the arms that provide great ventilation, plus many subtle pockets to stash things in. The shirt is definitely a great option for those milder days when a heavy leather jacket is just too hot. Check out more here. We hadn’t heard much about Pando before, but we were pleasantly surprised by just how damn comfortable their jeans are. 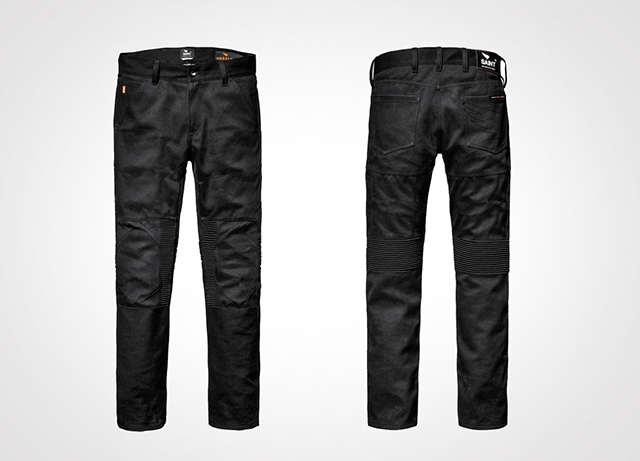 They are made from a 12.5oz Cordura denim combined with Coolmax technology. What does that all mean? It means they are a bit stretchy which is great when you are in the riding position. They are also lined with Kevlar, only in the critical areas – knees and backside – which makes them a little bit lighter than a fully lined jean. They are also reinforced with chain stitches and interlock Kevlar seams, so they don’t fall apart under pressure. 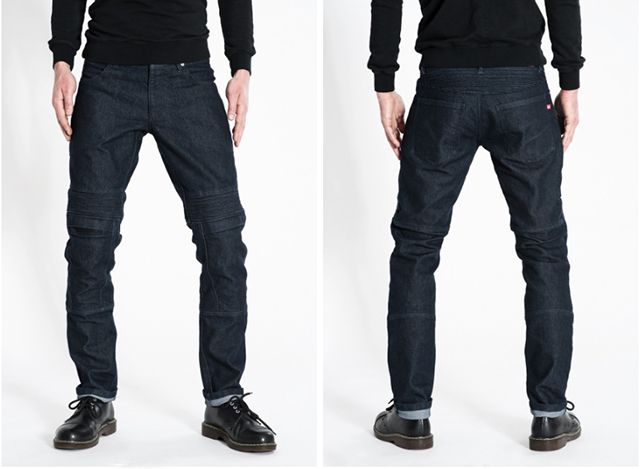 Like the Saint jeans, these Pando jeans also have compartments for CE approved knee protectors which come included. 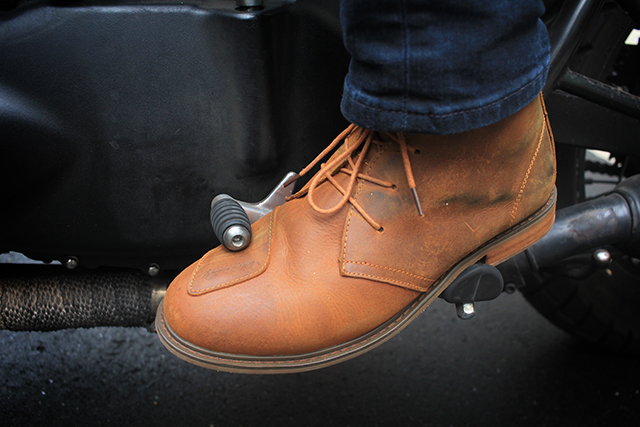 The compartment is on the outside of the jeans, so the armour can be easily removed when you get to your destination. Find out more here.